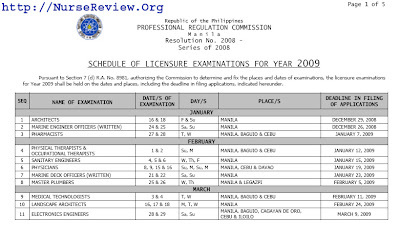 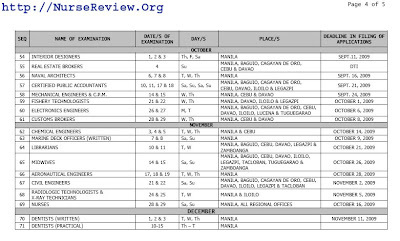 Below are the schedule for 2009 Nursing Licensure Examination. 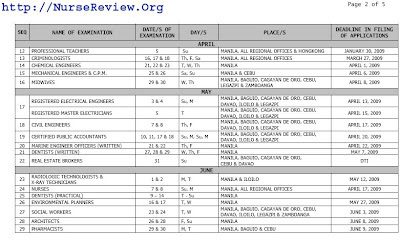 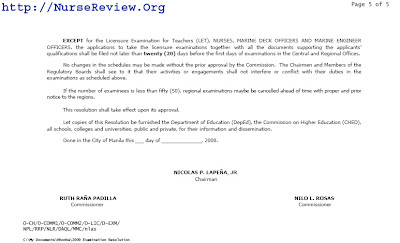 Exam for this year will be on June 8-9, 2009 (Sunday-Monday) and on November 28-29, 2009 (Saturday-Sunday). 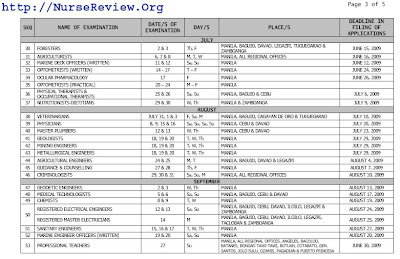 If you want to get a copy, simple click on the images below to view an enlarge version, then right click the image and save..as.